Oh god, what have I done? Cities: Skylines is the city simulator I had been waiting for since my childhood. Sure, there were a few good ones inbetween now and then, but that desire reached a fever pitch when my hype level was destroyed by the defacto city simulator game that will not be named. I needed a fix, and nothing was even on the horizon until Cities: Skylines released seemingly out of nowhere. It checks every major box that the genre needs and it looks fantastic on top of that. What did we do to deserve this? My moment of pause comes from the realization that I cannot stop playing a great simulation game once I start. 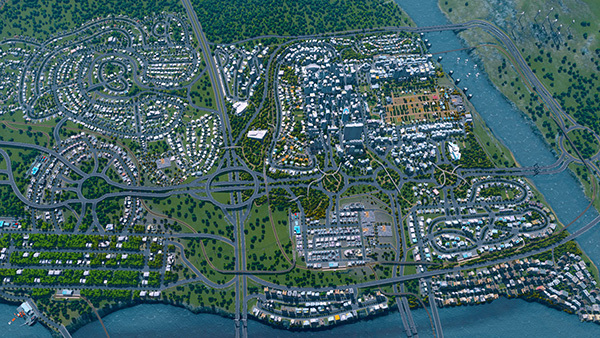 It is with great respect and admiration that I ran screaming from Cities: Skylines after my fifth city turned on itself. It knows the power it has over me. Thank you for setting things right and letting me live my life, Cities: Skylines.